A very scarce label from pre-WWI. This one actually states "Made in Germany" though the labelling is all in English. 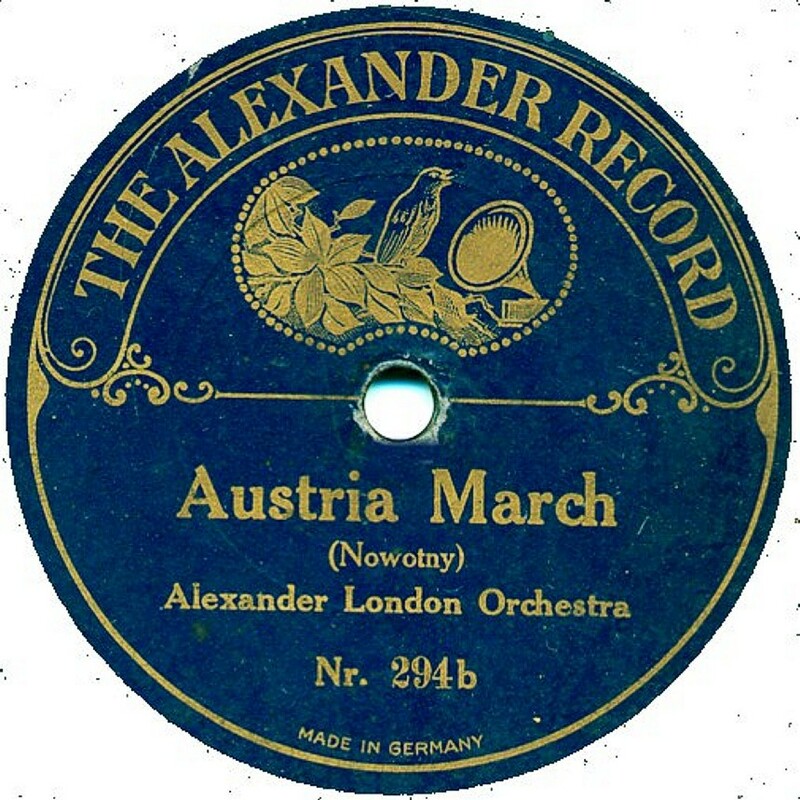 It is thought to have been produced for the Alexander Record Company of Birmingham, Chester, Coventry & Manchester. The catalogue series are the same as the Beka discs from whence the masters are all derived. 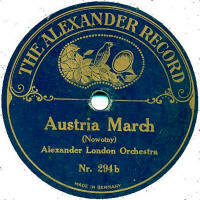 They started at 01; the highest known being 478, the Beka issue of which was issued in late 1911. Please e-mail me if you can help me fill in the gaps; you can see that I have very little information so far.